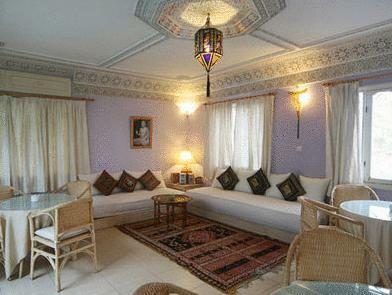 ﻿ Dar Jameel Tangier. JIMAT di Agoda.com! Dar Jameel terletak di pinggir medina Tangiers dan berjarak berjalan kaki yang singkat dari pantai. Ia menawarkan penginapan tradisional Maghribi dengan WiFi percuma. Riad Dar Jameel juga mempunyai teres panorama dengan pemandangan teluk dan medina. 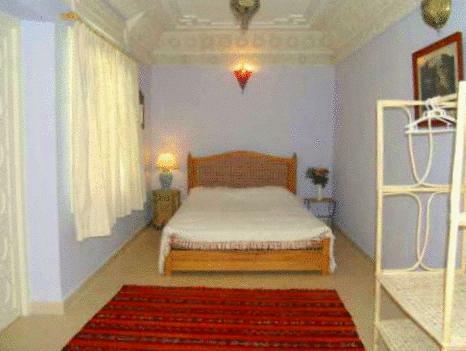 Semua bilik di Dar Jameel membuka ke halaman dalaman dan menampilkan siling stucco dan katil empat tiang. Great except only the bad smell in the bathroom. 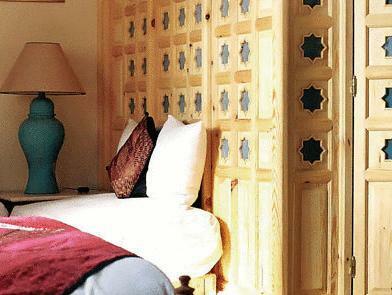 It's located in Medina, maybe at the first time it's hard to find, but when you get in the hotel you will be shocked about the stunning moroccan decoration, free wifi all over the hotel but sometimes the signal is not good... the staffs are very nice and helpful, breakfast is also good. Had a great stay with my wife, good way to start our trip in Morrocco. Location is in the medina, inside the walls, closest entrance to the hotel is in the east next to the port. As a medina hotel it can be a bit difficult to locate, it´s close to the Continental Hotel. 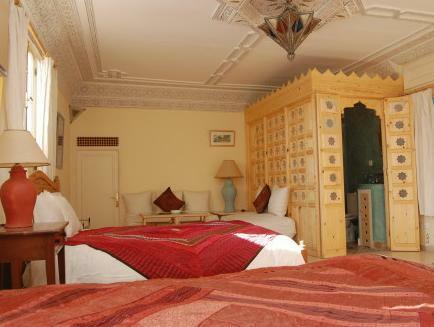 Room was very nice, the place is a nicely decorated Riad, away from the city hustle. As many riads it can be a bit noisy depending on the other guests. Bathroom was not ensuite, shared with other room that didn´t have guests. Has got a terrace with superb views of the city, and a nice chill-out room on top of the building as well. Staff was very nice and helpful. Breakfast was good. We got there by car, we could park it at the Continental hotel after negotiating with the car park guard (about 30 DH per day), you can also park the car just outside the medina walls. Would definitely go there again. The room is comfortable, but a lot of exoticisms there. I got good impression of the facility. And staff performance makes us very relaxed. We are very relaxed and appreciate such kind of mood at the facility. We really enjoyed our time at this small hotel. It's nestled in the Old City--so the roads are very narrow and you feel like you've gone back in time to get there. Once inside it's full of beautiful tile and Moroccan decorations. Awesome , though it was a short one , as we left early to catch the ferry to Tarifa. Good staff! He carriend our bags to the 3rd floor ! The design of this place is great! Breathtaking design. cozy, nicely decorated, like a dolls house. 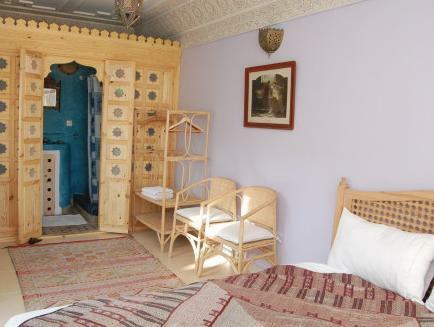 Our conception of a fairy tale house in the Kasbah Staff friendly and very helpful. the common room on the top floor ,overlooking the port and the old city. This was the best Raid we stayed at during our two week tour of Morocco and was a fantastic place to start the holiday. We arrived very late at night and were met at the airport by a cab arranged by the hotel. Check-in was very efficient for the early hours in the morning and we awoke to find a beautifully interior to this raid and first rate breakfast. We really enjoyed the personal service given by the managers and staff. They arranged dinner at a local restaurant for us, booked onward bus travel and generally made us feel very welcome and at home. The glasshouse on the roof top was a great hideaway and place to chill out for an afternoon siesta. A great start to our two weeks in Morocco! We can highly recommend this Raid! This place was a pleasent surprise! We were a little worried about what the state of the hotel would be like, but it was so nice! It had a lot of moroccan deco inside the hotel as well as the rooms. It had a nice free breakfast up on the terrace. It was right in the heart of the old city were all the site seeing is. The staff was great in helping point out where to eat, shop, and sightsee! 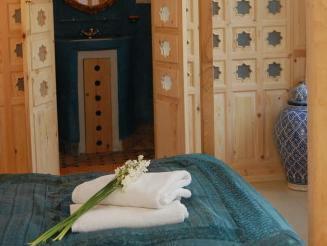 Really beautiful hotel with amazing Moroccan tiles and traditional touches. Its about 5 stories plus an extra terrace for great views. All staff were very helpful - the doorman even escorted us to a great restaurant that we would have not been able to find otherwise. We appreciated how quiet it was especially in the busyness of the medina. Wonderful breakfast with great coffee, fresh eggs, lots of breads and pastries, fresh yogurt, etc. wir hatten uns fuer dieses hotel entschieden, da es etwas aussergewoehnliches versprach und wir wurden nicht enttaeuscht. wir kamen uns vor wie in einer geschichte aus tausend und einer nacht, inmitten einer etwas gewoehnungsbeduerftigen aber nicht gefaehrlichen stadt. das freundliche personal war sehr angenehm. einziger negativer punkt: zu harte betten fazit: romantisch und jederzeit wieder im raum leyla. Dar Jameel est vraiment un endroit superbe et bien décoré. Le personnel était accueillant, le déjeuner copieux et varié. Il est bien situé dans la médina. Les murs sont plus ou moins bien insonorisé étant donné les fenêtres. Chauffage efficace lors de nuits fraîches. On y retournait sans hésiter!!!!! chambres confortables,très belle maison et cuisine délicieuse. nous gardons le souvenir de dar jamel comme l'une de nos meilleures étapes. nous le recommanderons à des amis.